With many homeowners searching for alternatives to carpeting and vinyl flooring, wood flooring is winning in popularity. 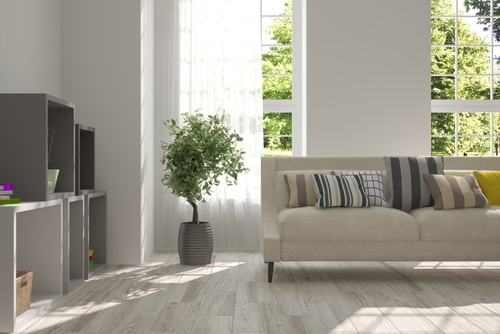 From an ease of cleaning to a wide variety of decorating and design choices, wood flooring is making a comeback. 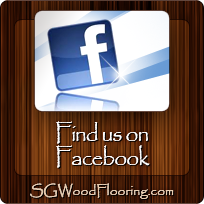 Consumers, architects, contractors and home decorators are being bestowed an incredible array of flooring choices. Carpet, solid wood, engineered wood, laminates, vinyl and ceramic tile and stone make up most of the flooring in use today. -While carpeting can add warmth and comfort to a living space, maintaining the appearance and cleanliness of wall to wall carpet can be difficult over time. Uneven wear patterns, the accumulation of dirt and breakdown of padding materials can make your carpeting look old before its time. Concerned about the potential for increased indoor air pollution, many folks are taking a green approach to their living spaces, choosing carpet fabrics that emit fewer volatile organic compounds or VOCs and have a higher content of recycled fabric materials. -Carpeting needs to be replaced periodically, and old carpeting often ends up in the landfill, not to mention the cost of replacement. Many carpet manufacturers are developing products that address these concerns with carpet that wears longer, emits fewer VOCs and is more recyclable. -For many homeowners, the home improvement bug has taken hold with weekends, once reserved for leisure time activities being used to feather the nest. The growth of big box home improvement centers is partly responsible for fueling the do it you craze. This boom in the home improvement market has not escaped the notice of flooring manufacturers; especially when it comes to solid wood and engineered wood flooring products. -The process of having wood flooring installed very often involves hiring a flooring installation professional. Today, many wood flooring systems can be installed by the homeowner with some laminate flooring systems that snap together and, unlike many solid wood flooring products, float on the an atop a layer of foam padding. Laminate flooring, while not made of wood can give a similar appearance to hardwood flooring. Most home flooring is nailed in place while engineered wood systems are installed using less volatile latex based adhesives. Offered in a variety of finish colors, many wood flooring products come pre-finished eliminating the need to sand and to apply a stain and varnish. -The types of wood flooring materials being offered have grown, and the cost per square foot has become competitive with carpeting. Material styles include basic design like a plank, strip, and parquet. Solid oak and solid maples have been popular flooring choices for many years. The cost of wood has risen over time, and engineered wood flooring, with a thin layer of the finished wood, has become a cost effective alternative to solid wood and can give same rich look found in solid wood flooring. 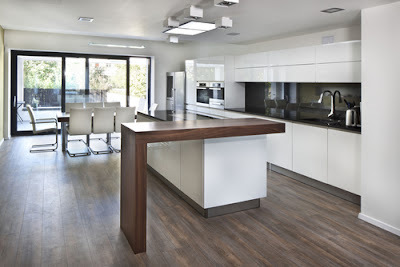 One drawback to engineered wood flooring is that, unlike solid wood flooring, engineered wood flooring can not be refinished and may require replacement over time. -If cost is not an issue, you can choose from a wide assortment of woods from the exotic to the practical. There are well over 50 species wood available from the basic beauty of domestically available oak; heart cuts pine and walnut to imported woods like cypress and teak. In recent years, bamboo has become a popular and durable choice in wood flooring. Some species of bamboo grow very quickly, and bamboo can be an environmentally friendly option for flooring since fewer old-growth hardwood trees are cut. -Wood floors are a friendly choice, particularly for a house where there live people who have allergies. Being easy to clean, it is easy to get rid of the dust build-up on the floor. Furthermore, dust can be outwardly seen in woods, making it easier to have it wiped off. 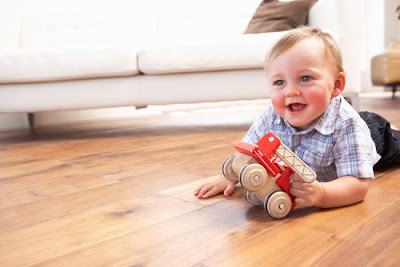 -When utensils, or any material in your home, falls, wood floorings won't give you hard, screechy, irritating sounds. That is if it is properly installed. It then would help you focus more on what you are doing. It provides better acoustics. -Wood floorings are often mistakenly deemed by many as something that can be afforded only by the rich. But this is not the case, as modern production methods have already enabled the manufacturing of wood floors that are available to all budgets. It makes wood floors a budget friendly choice. -Much like the other floor types, there are diverse style choices of woods. There is this what people call, solid wood, which can be redeveloped or refurnished again and again. There is also this what people call, engineered wood, which is pre-finished, more stable, and easier to install. There are many other choices, of course. All you need to do is to look for a style and material that can match your preference or suit what you want for your home. -Wood floors, much the same as some different floor types, are especially easy to clean. Since the dust is visibly seen, you can simply remove it, by simply wiping it off or by using a dry mop or a sweep. -The beauty of a wood flooring lies in its simplicity. Though simple, it gives an elegant, high class, and an exquisite look to your home. The natural, high quality look it gives it tastefully enticing to look at. Moreover, it goes well will whatever decoration you'd want to use for your home. 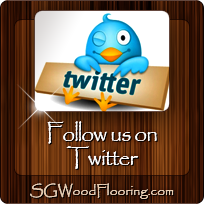 -Wood floors have the ability to look better and better as the years go by. That is the main reason why potential buyers ought to buy a house that makes use of wood floorings. It is simply ageless. So, immensely, wood floorings can be a great long-term investment, increasing your home's resale value. -Wood floors are low maintenance. A regular vacuum clean can already help retain its beauty. Scratches and dents can be aided by a simple sanding and refinish of the floor. Moisture, or water mark stains, on the other hand, can be avoided by just applying polyurethane finishes. And just like tiles, a damaged wood flooring can be utterly replaced with new pieces. -Essentially, wood floorings provide a warmer feel, when contrasted to stone, tile or concrete types of flooring. Furthermore, an under floor heating can be put under the wood, making it easier for you to make your house feel warmer. -The best advantage of a wood floor is its timeless appeal. While many other flooring types go in and out of fashion, the natural appeal of wood floors can last for decades. What more, with proper maintenance, it can look better and better as the years go by. Depending on the species of wood you choose, a properly installed and maintained wood floor could last far longer than carpet or vinyl. The look of wood can transform even a modest living space, adding warmth and richness not found in carpet.